It seems like only yesterday that we first started talking about e-commerce and how it was taking over in the world of retail. But today, in our fast-moving and smartphone-adoring society, there’s a new revolution in town – the mighty m-commerce. 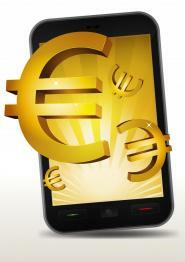 Already growing at an alarming rate, m-commerce sales in the UK alone are expected to top £6.61 billion during 2013. By 2017 sales are expected to reach an incredible £17 billion. Just recently it was reported that half of House of Fraser’s online traffic comes from a mobile device. And by 2016 it is thought that m-commerce will account for around 25% of UK consumers’ entire shopping activities. So how do these figures compare with global m-commerce? Research carried out in 2012 by Mobify, a mobile technology platform, analysed the activities of 200 million shoppers on mobile shopping sites to determine which countries generated the most traffic. China has the most active m-commerce market, with 46% of shoppers buying from a smartphone; perhaps not surprising when you consider that China has one of the highest penetrations of mobile phones in the entire world. India follows closely behind with 40% of shoppers using mobiles to make purchases. Figures were considerably lower in other countries; but certainly not insignificant. In Mexico 20% use their mobiles to buy online, while in Australia and South Korea 16% shopped on mobile phones. Surprisingly, the figure was just 15% for the United States and 14% for the UK. eMarketer, which researches and analyses current trends in digital marketing, media and commerce, estimates that a staggering 23.4 million people in the UK – or 58.3% of digital shoppers – will browse or research products on smartphones this year. With facts like these, it’s impossible to ignore m-commerce and the mobile shopping needs of your customers. The future success of businesses depends on their willingness and ability to accommodate the buying preferences of their customers. And with the m-commerce craze currently spreading like wildfire, any company would be smart to provide the best mobile experience possible before they fall behind the competition. As with e-commerce in a global market, m-commerce is proving equally important. As we always say, if you speak in your customer’s language, you’re more likely to convert sales. Talk to us at Comtec to discover how we can help to translate and localise your m-commerce platform to ensure you communicate with the right target audience in the most engaging of ways.